Inspired design meets incredible practicality. 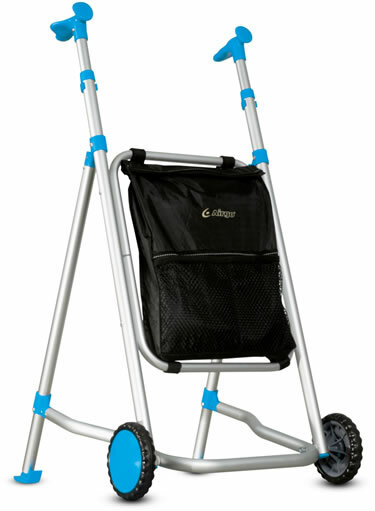 Our sleek ultra-light Airgo Euro walkers weigh only 4.5 lb and feature ergonomic handles for improved support. The compact frame design is also well suited for homes with tight hallways, or narrow doorways. Please note: User height range per model indicated above is a general recommendation based on ISO Standards. If more personalized recommendation is required consult a health professional. A portion of the proceeds from the sale of this product supports the March of Dimes Canada. / Une partie du produit de la vente de ce produit appuie la Marche des dix sous du Canada. March of Dimes Canada does not endorse specific products or brands. / La Marche des dix sous du Canada ne recommande aucune marque ou produit spécifique.